It’s looking increasingly likely that FC Copenhagen will be Denmark’s only team participating in European football this year following a tough night for the other three Danish teams in the Europa League playoffs. 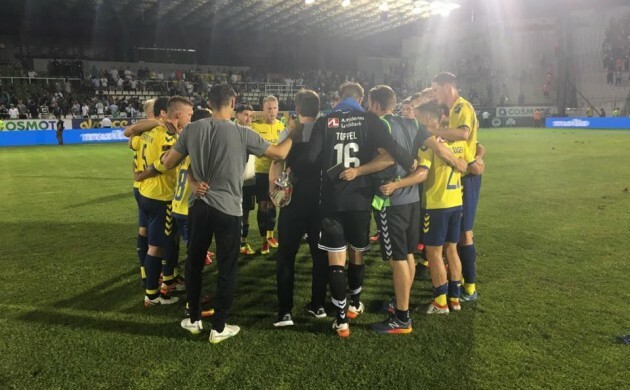 FC Midtjylland lost at home 0-1 to Turkish side Osmanlispor thanks to an own goal after 20 minutes, while Brøndby were handed a heavy 0-3 defeat after getting two red cards (in the 33rd and 50th minutes) away to Panathanaikos in Greece. League runners-up SønderjyskE have the best possibility of making the group stage following a 0-0 draw at home to Sparta Prague, but the Czechs are strong at home and are favourites to progress. Until now, Denmark had put in a potent showing in European qualification competition and had looked to potentially rack up loads of points in the European coefficient standings. But with just FCK going through to the group stages, that surge would be significantly curtailed, unless the Lions put in a good shift and reach the knock-out stages. The return legs will take played next week on Thursday August 25.